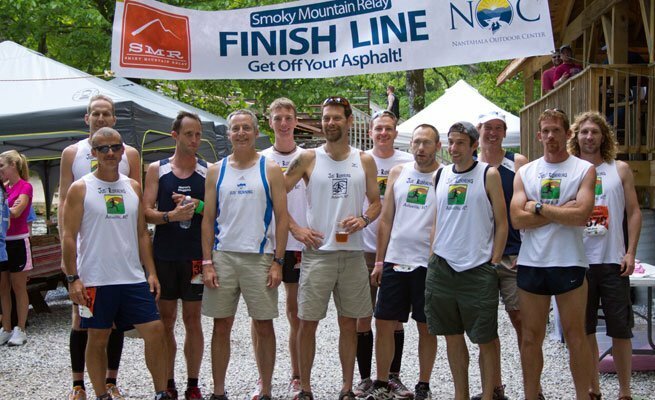 In teams of 6 or 12, participants of this epic overnight relay race 212.5 miles along trails and country roads from Brevard, NC to finish here at Nantahala Outdoor Center. 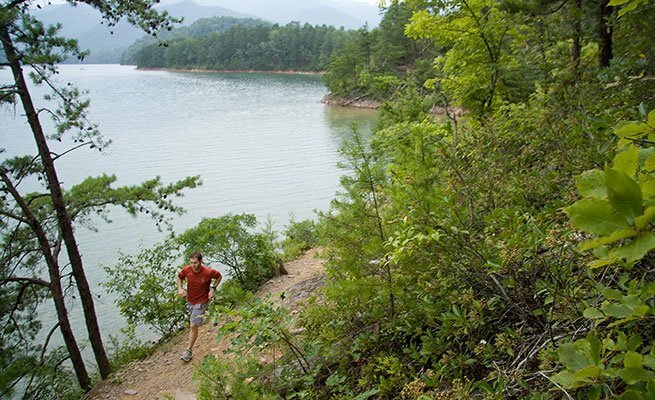 Hailed as the most challenging race in the southeast, runners enjoy stunning views from the Blue Ridge Parkway and the Mountains to Sea trail. Come celebrate with the racers as they finish right next to the river. Talk with the racers about their incredible journey during the afterparty at NOC! Race Information & Registration: Stay Tuned for 2019 Race & Registration Information. Racers, family and friends receive 10% off lodging, whitewater rafting, ziplining and mountain biking at our Nantahala Campus April 21st - April 23rd using code SMRAD. 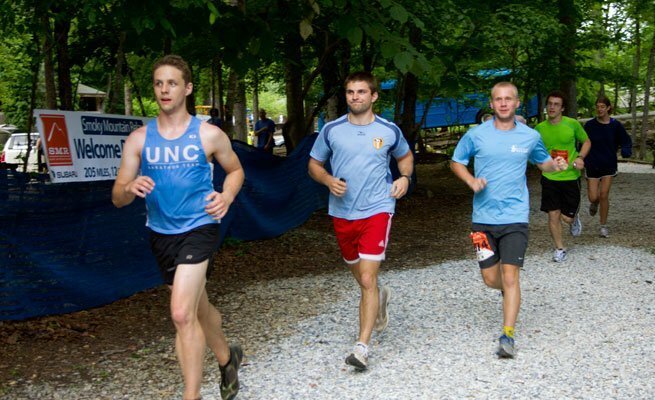 Book your lodging while it lasts at one of our overnight options including: platform tents, the Basecamp bunk house, luxury Cabins and the Dogwood Motel. Learn more about our lodging options here. 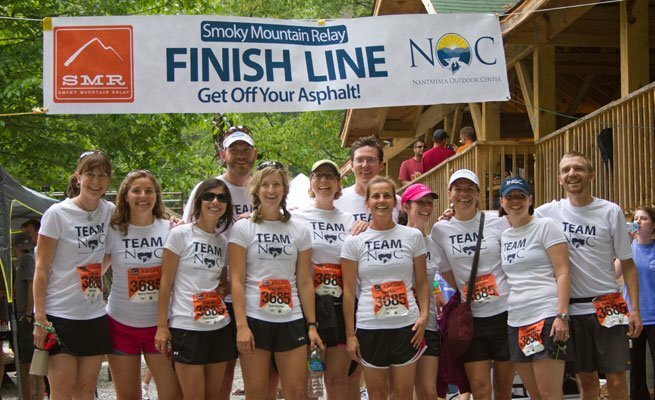 Visit SmokyMountainRelay.com for more information.